Are you looking for a versatile and high-quality marketing tool for your business? CUSTOM PRINTED RIBBON is the best tool to make your brand stand out! WWW.LOGOSANDPRINTS.COM Whether you plan to sell your goods through online stores, pop-up markets or holiday bazaars, it is important to have an eye-catching packaging. The way you wrap your goods reflects on your business. Our CUSTOM PRINTED RIBBON will: - help boost awareness for your brand logo - develop visual branding - convey your message to your consumers - add your personal touch to your products - attract new customers - show your appreciation towards your clients or stakeholders We, at LOGOS AND PRINTS, offer a wide variety of high-quality ribbon materials and durable printing techniques for different branding needs. Be creative as you can and choose the perfect font, style, or colors for your brands. 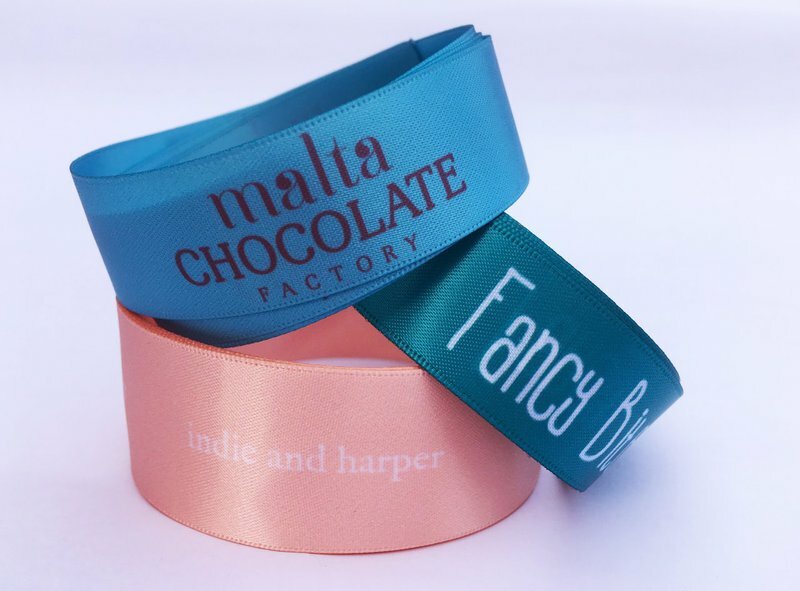 We guarantee to produce ribbons according to your specification and even match your brand logo with actual PMS colors! Order now at www.logosandprints.com or contact us at info@logosandprints.com for more details. Let LOGOS AND PRINTS help you as you grow your business.